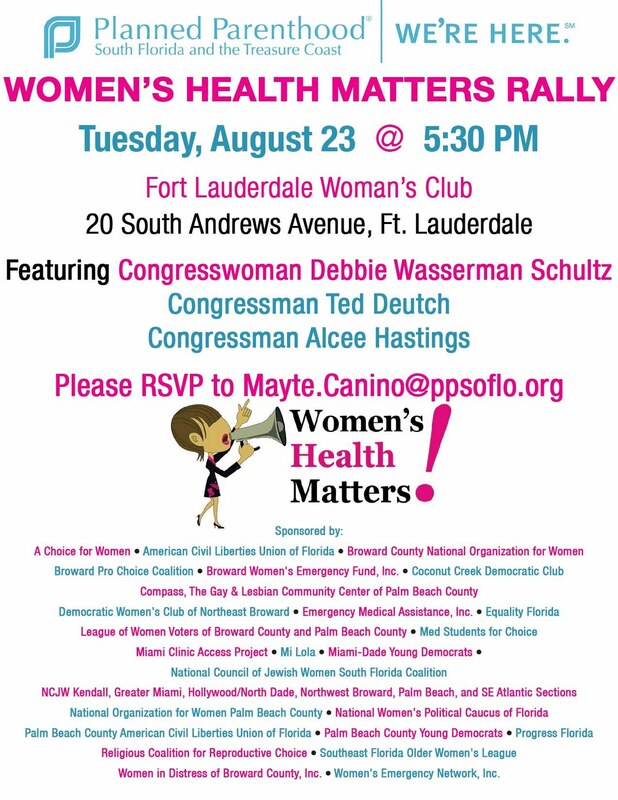 Equality Florida is a proud co-sponsor of the Women's Health Matters Rally on Tuesday August 23 at 5:30pm. The rally will be held at the Fort Lauderdale Woman's Club at 20 South Andrews Ave, Ft. Lauderdale. 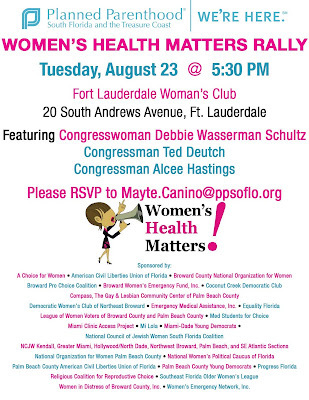 Congresswoman Debbie Wasserman Schultz, Congressman Ted Deutch and Congressman Alcee Hastings will be special guests. To RSVP for the event, please e-mail [email protected].